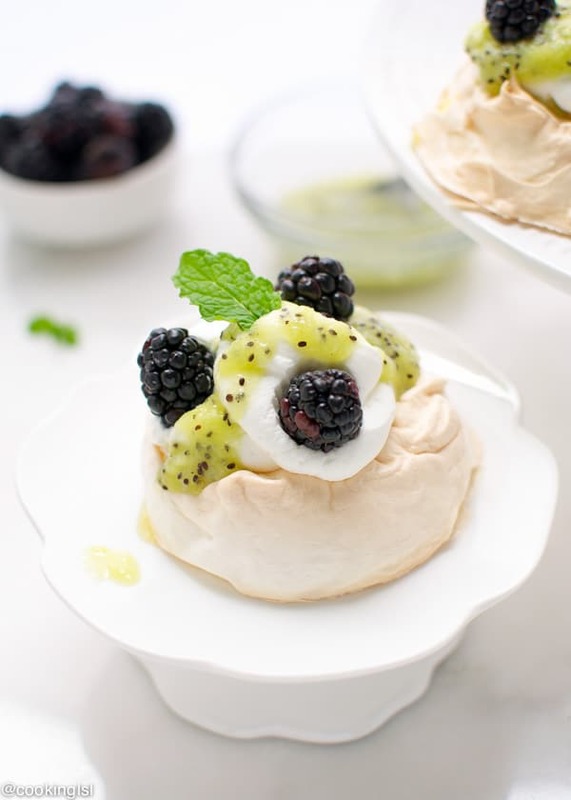 Blackberry Kiwi Mini Pavlova – light and elegant dessert, simple to make, but impressive! Topped with fresh whipped cream, blackberries and kiwi puree. These delicate mini Pavlovas are so fluffy and gorgeous! 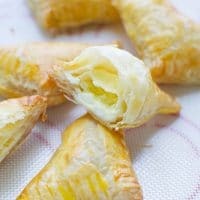 I could name them one of my favorite desserts, but I simply don’t make them often enough. 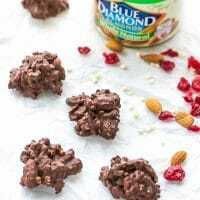 They just taste best if you eat them right after you make them. 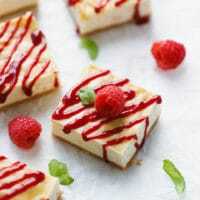 (The meringue could be bakes 1-2 days in advance and stored covered at room temperature, before you assemble the dessert). I prefer to usually make them for parties. Definitely a crowd pleaser. Named after a Russian ballerina, these light and airy mini meringue tarts are so easy to make! Meringue is effortless to make, but you need to be patient, while baking (drying) it in the oven. Of course, you can make one large Pavlova, with the amount of meringue in this recipe, but I really love the look of these mini Pavlovas. I topped mine with whipped cream (of course) and to balance the sweetness from the meringue, I decided to add some pureed kiwi and top with blackberries. 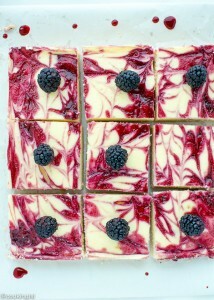 Any berries of your choice should work, but as I’ve told you before – I love blackberries! Make sure your egg whites are at room temperature, you can separate them the night before, cover and let them sit covered, at room temperature. Egg whites should be completely egg yolk free. Your bowl and mixer whisk should be completely dry, oil free, for best results. I baled these Pavlovas in the oven at 300 F for 30 minutes, but baking them at lower temperature for longer time works, too. For best results, turn the oven off and let Pavlovas cool inside for 1 hour. 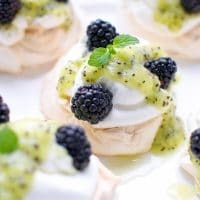 Blackberry Kiwi Mini Pavlova - light and elegant dessert, simple to make, but impressive! Topped with fresh whipped cream, blackberries and kiwi puree. Preheat oven to 300 F (150 C). Line baking sheet with parchment paper. You can outline 4 much circles over the parchment paper, so you achieve pavlovas with the same size. In the bowl of a stand mixer (or just a deep mixing bowl) beat egg whites, until frothy. Add sugar and beat on high for 6-7 minutes, until stiff peaks form. Add cornstarch, cream of tartar, vanilla and vinegar. Mix to incorporate. Spoon batter onto 12 rounds over the parchment paper. Make a well in the center of each round. Smooth the outside with a spatula. Bake for 30 minutes. Turn oven off and let Pavlovas cool inside for 1 hour. Beat whipping cream on medium high heat, until thick. Add powdered sugar and beat until nice and fluffy. (Do not overheat whipping cream). To assemble : Pipe (spoon) about 2 tbsp whipped cream into each Pavlova. Top with pureed kiwi. Add 3 blackberries on top of each one. Enjoy! Oh I love the looks of this dessert, Mira! I’ve never heard of pavlova before, but it sounds delicious. And that kiwi puree looks amazing! Pinned! These little pavlovas are gorgeous and so colorful! That kiwi is amazing. Mira, these are gorgeous!!!! I didn’t know the history behind Pavlovas and now I do!!! love this! These pavlovas are so fresh and pretty, Mira! 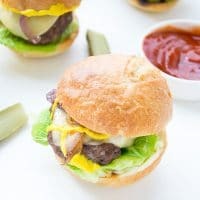 I just love that they’re mini-sized and that kiwi drizzle on top is beyond gorgeous! I love pavlova deserts. 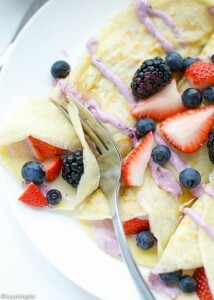 Kiwi sauce and black berries… yum! Oh gorgeous! I absolutely love the colors in this, Mira! I have had pavlova on the mind lately. 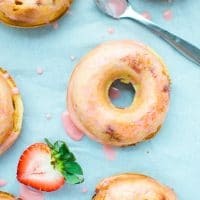 These are gorgeous and will fulfill the craving I’ve had. Love these! These pavlovas are beautiful, Mira! The blackberries are just perfect and I love the pureed kiwis! Very beautiful, these would be lovely for Mother’s Day. I love pavlova and I love the fruit combo. Mira these are gorgeous!!! 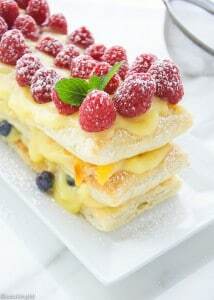 I love how elegant Pavlova’s look! I have so many recipes I want to make out of them and every time I forget to make it!! Better do it before the humidity gets here! Mira, these little beauties are so elegant and gorgeous! I had no idea something this stunning could be so easy! These are really beautiful, Mira! I’ve never seen that combination of flavours done before, blackberry and kiwi, but it sounds absolutely delicious. These look gorgeous Mira!! 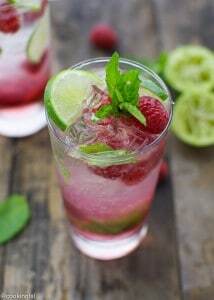 I wish I could have some with dessert tonight! Ya know. I’ve never made pavlova! Gasp! These are almost too beautiful to eat, Mira! I’ hoping it works! 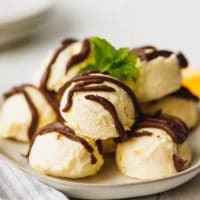 Never tried vegan meringue, sounds great! WOW! This looks amazing!! 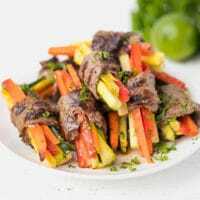 What a bright, beautiful recipe!! Love it!! I’m in love with these cute little beauties! Just beautiful Mira! These mini pavlovas are so cute!! Love how they celebrate the fruit that’s in season right now. Oh my! I saw these on IG and they are even more adorable here! 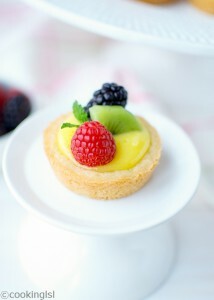 I simply love that kiwi puree on top – simple, elegant yet adorable and TOTALLY MOUTHWATERING! That’s a great dessert. Love pavlovas, these are wonderful. Mira, this is so creative! I’ve made pavlova plenty of times – being an Aussie, it’s a classic – but the way you’ve used the kiwi is really clever! Thank you for the idea, I never in a million years would have thought of doing that! 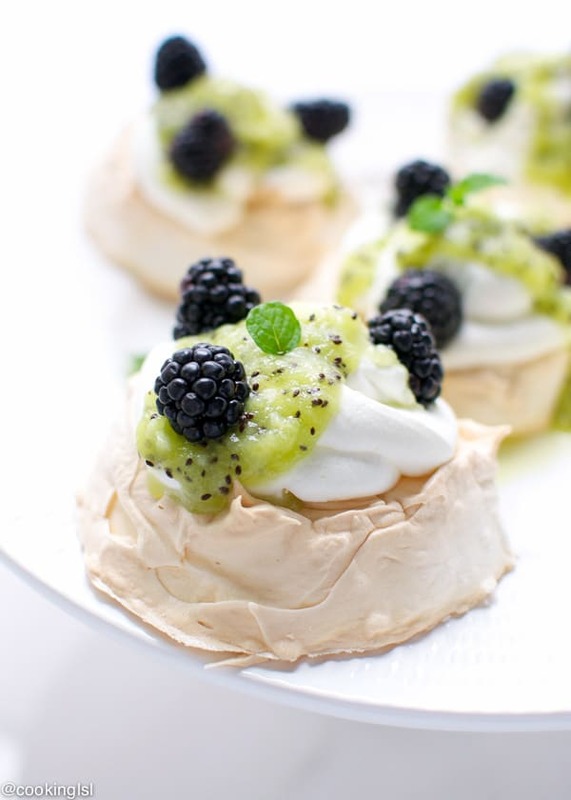 Hi Mira, these mini pavlovas look so adorable, the idea for the topping is very creative! 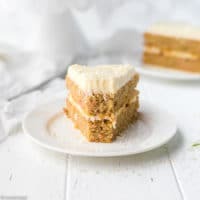 People here in Australia are addicted to pavlovas, actually there is a big argument between Australians and New Zealanders over the creation of this dessert. To date none of the countries was able to prove where it was invented!